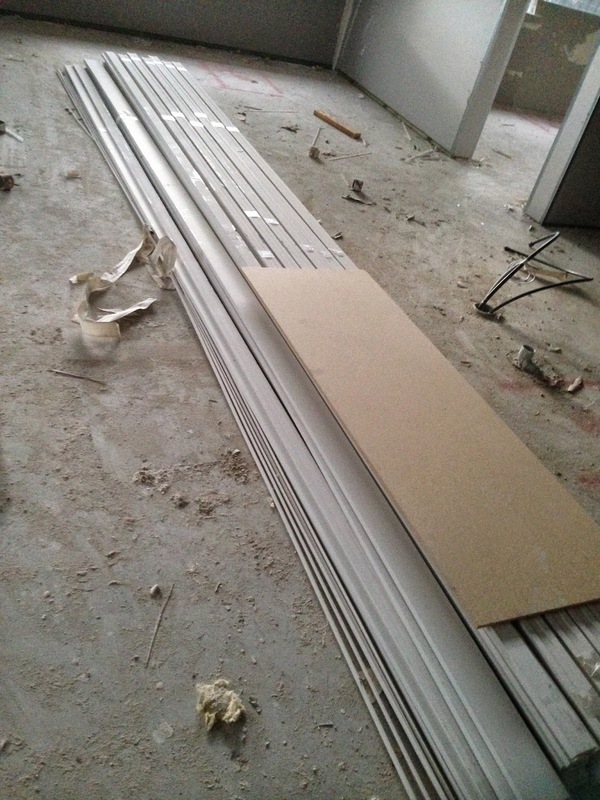 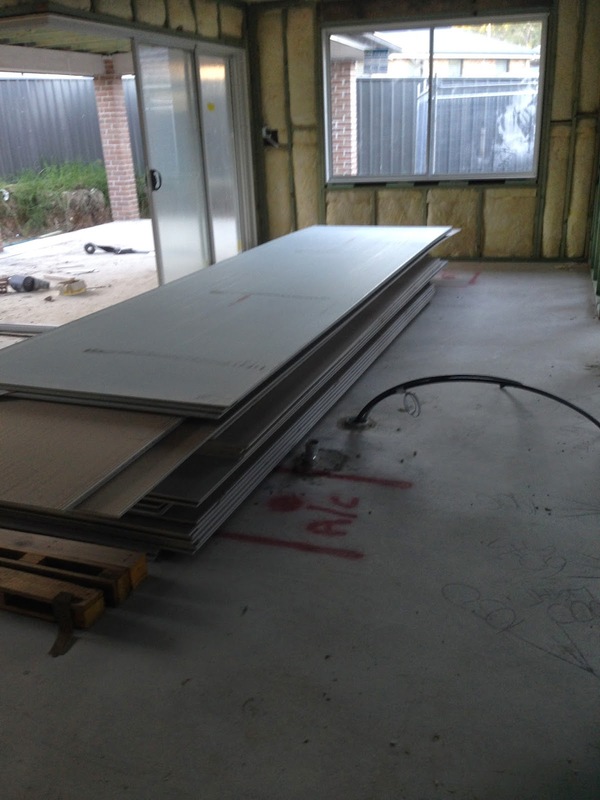 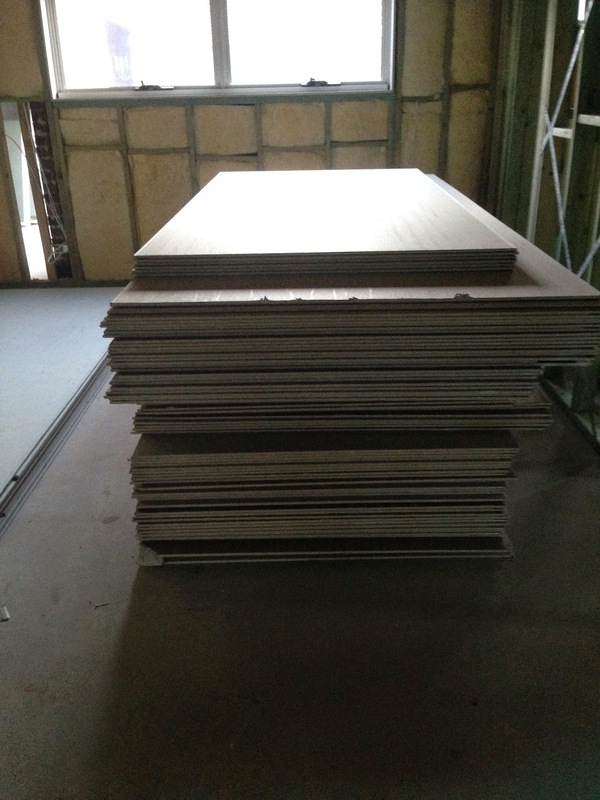 23/04/14 - Gyrock and cornice for garage etc was delivered today. 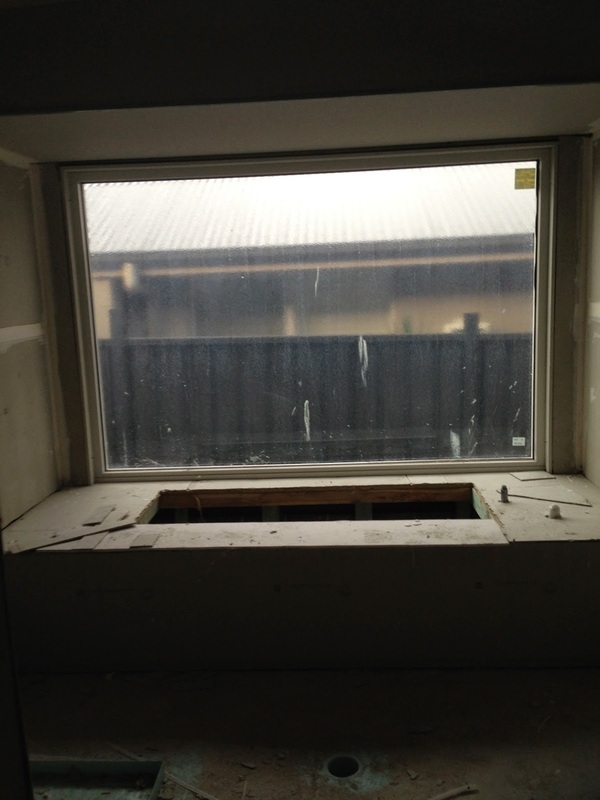 Not sure when they will be starting as the carpenter hasnt been yet to rectify the inspection issues. 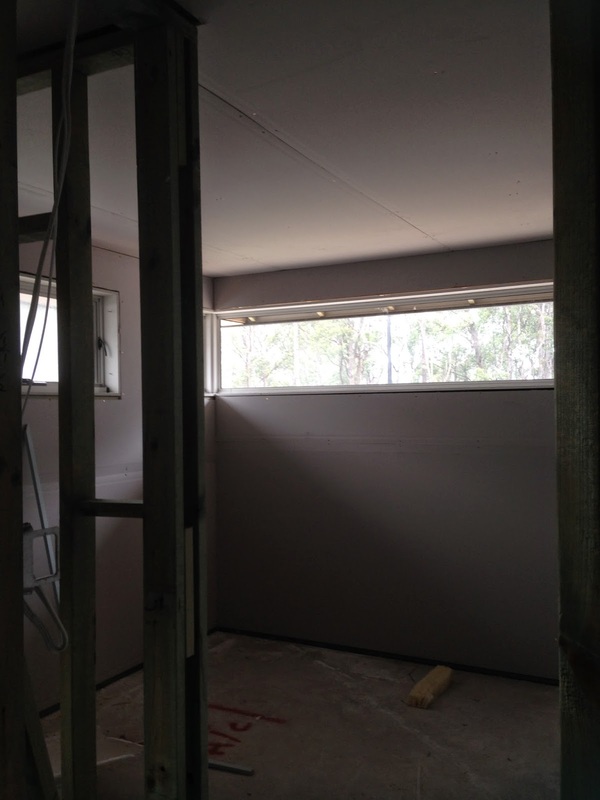 26/4/14 - Called past the house today to find 2 guys hard at work hanging gyprock. 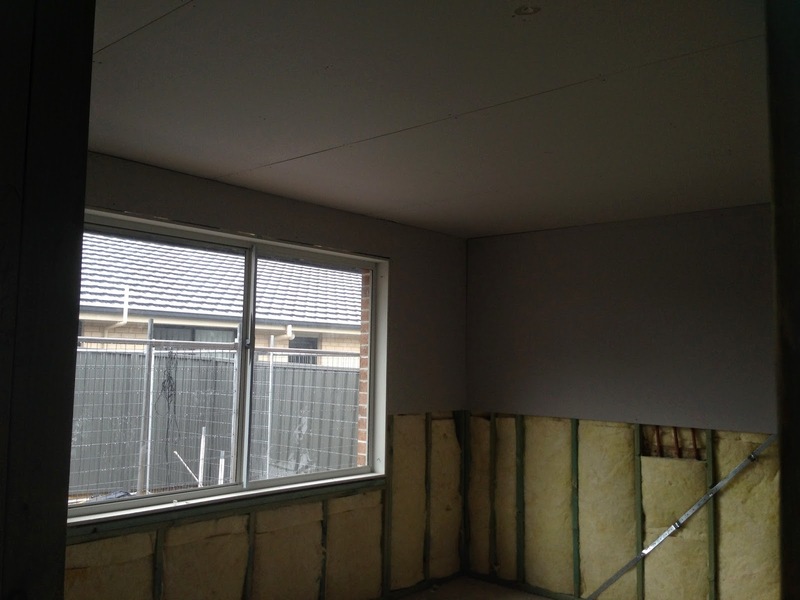 Quite suprised considering it is a saturday, and the day after ANZAC day..... not that im complaining. 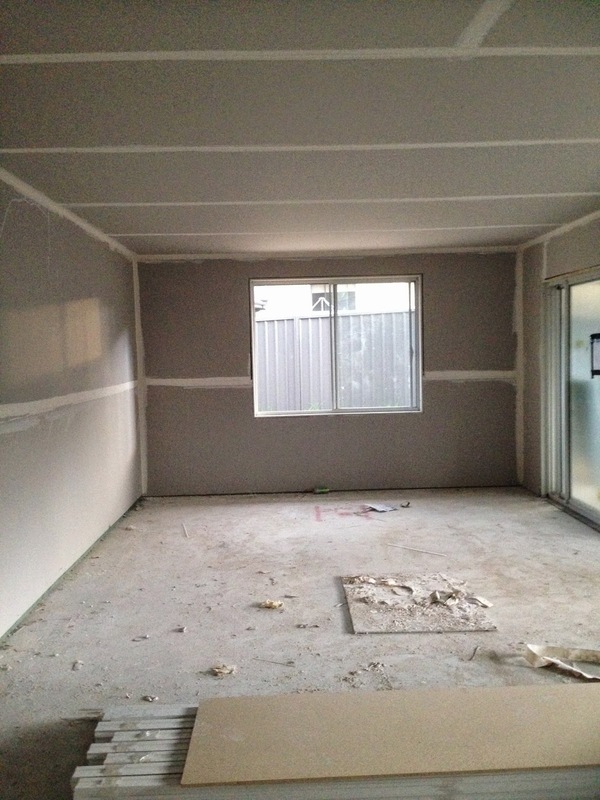 They got a heap done, hopfully the carpenter returns on monday to fix the inspection issues before they hang it all up. 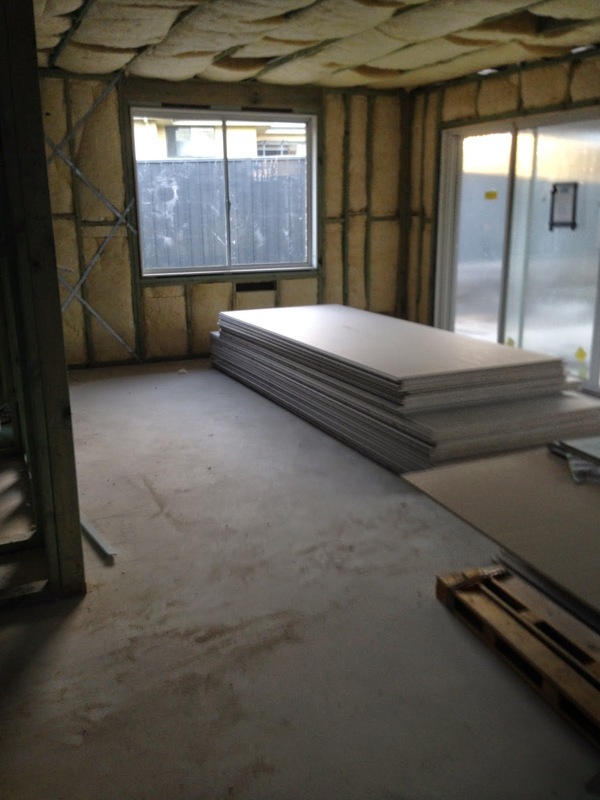 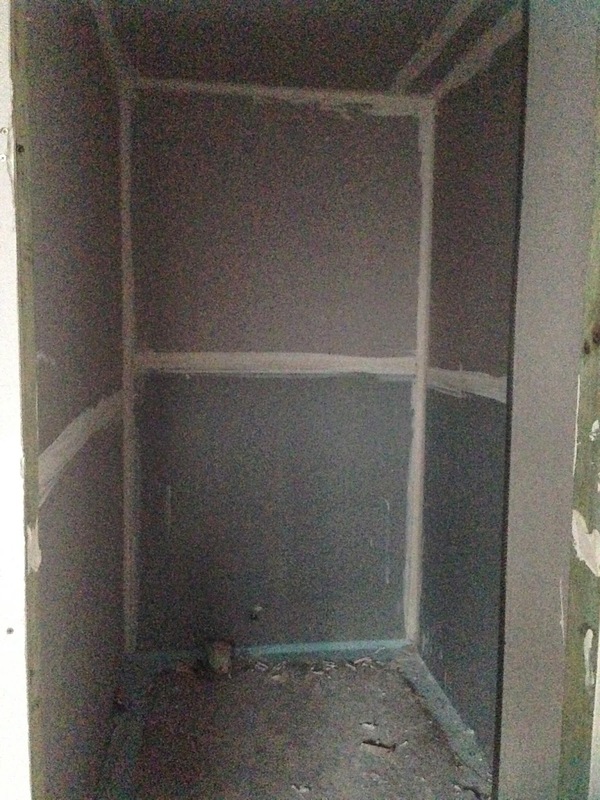 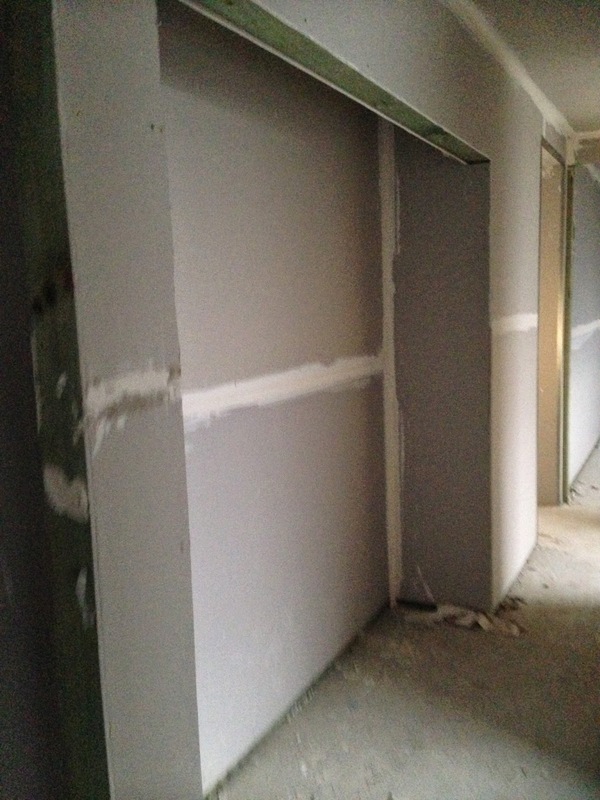 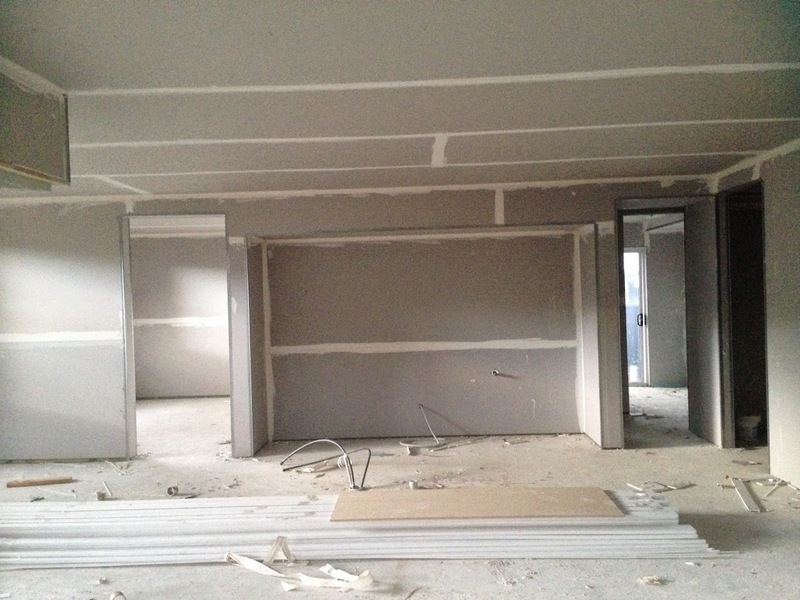 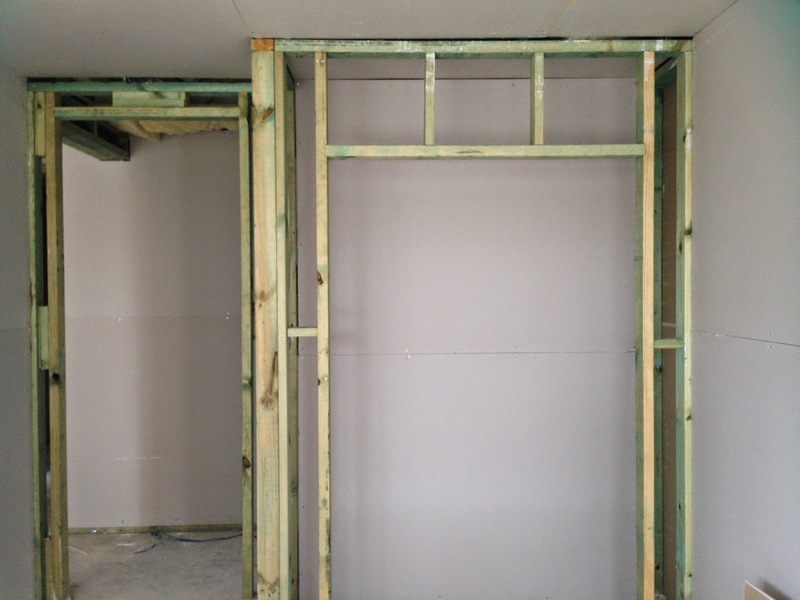 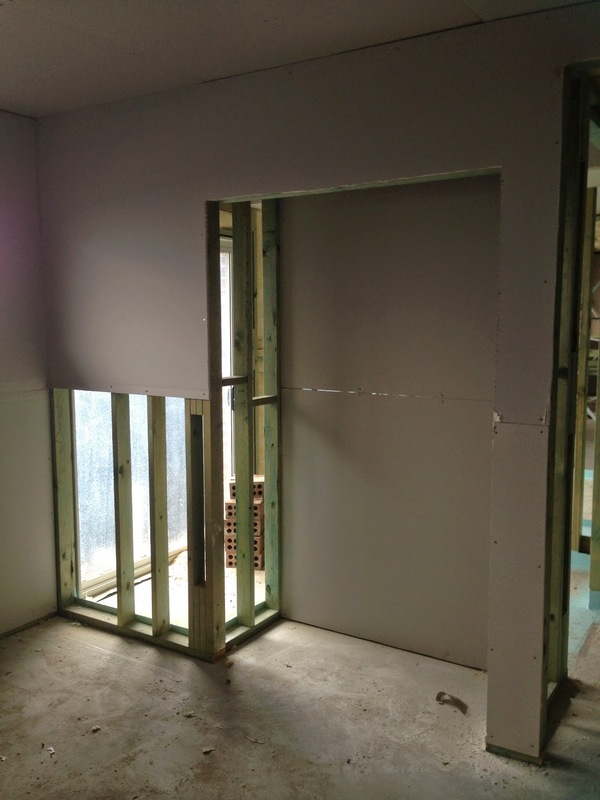 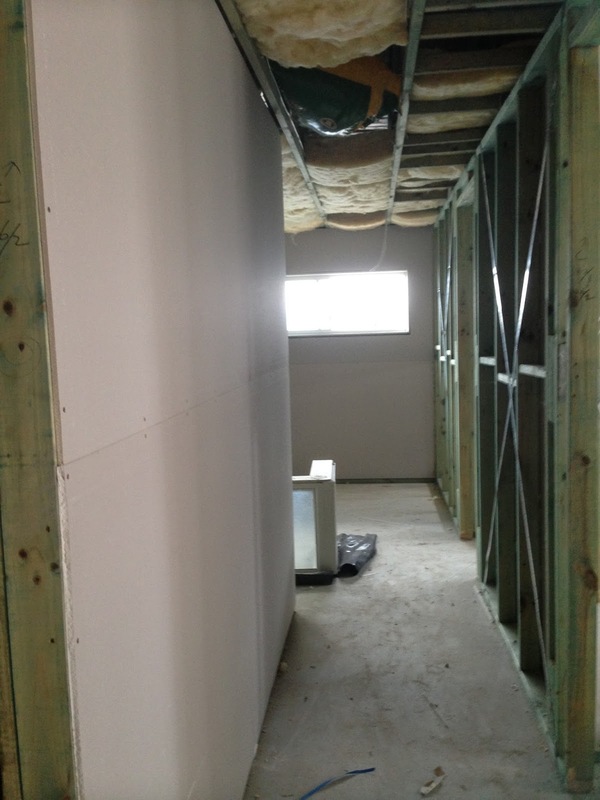 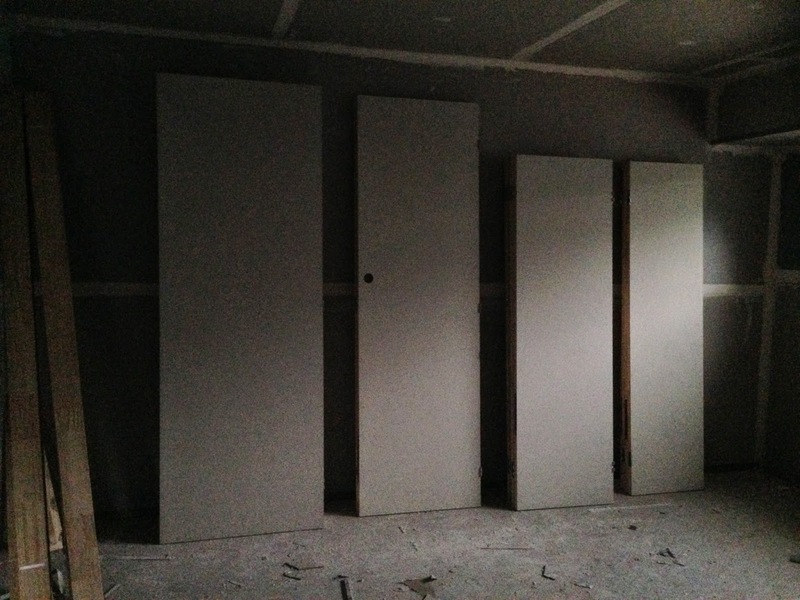 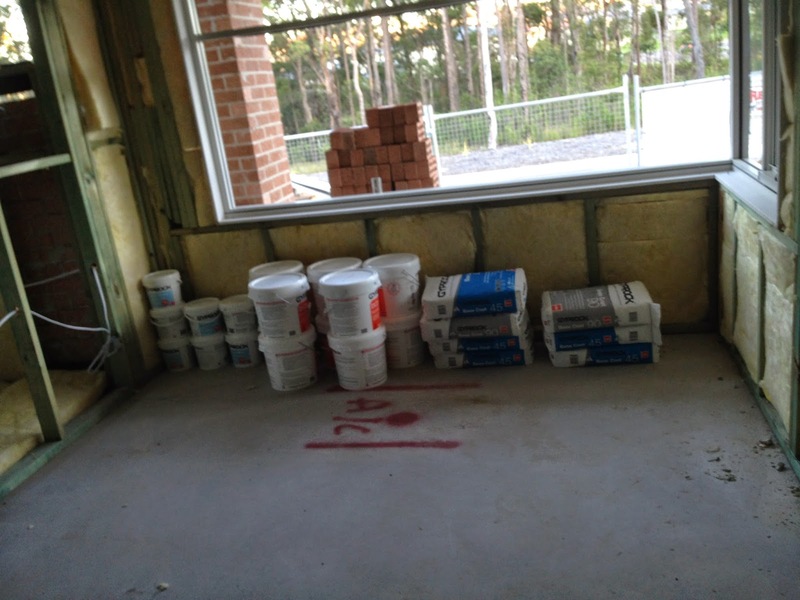 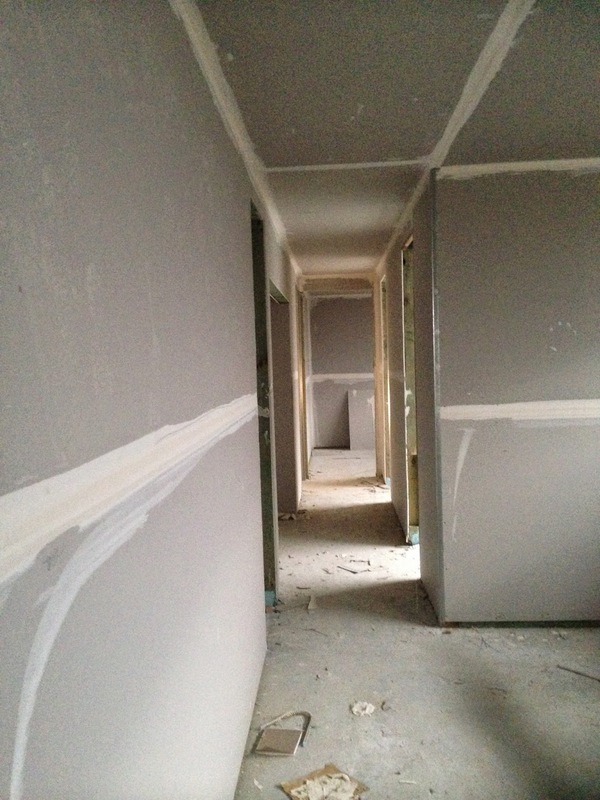 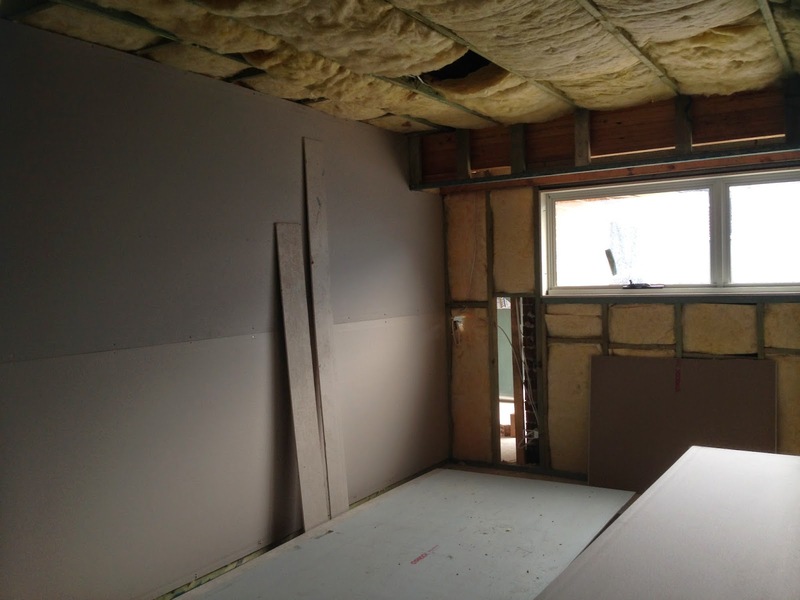 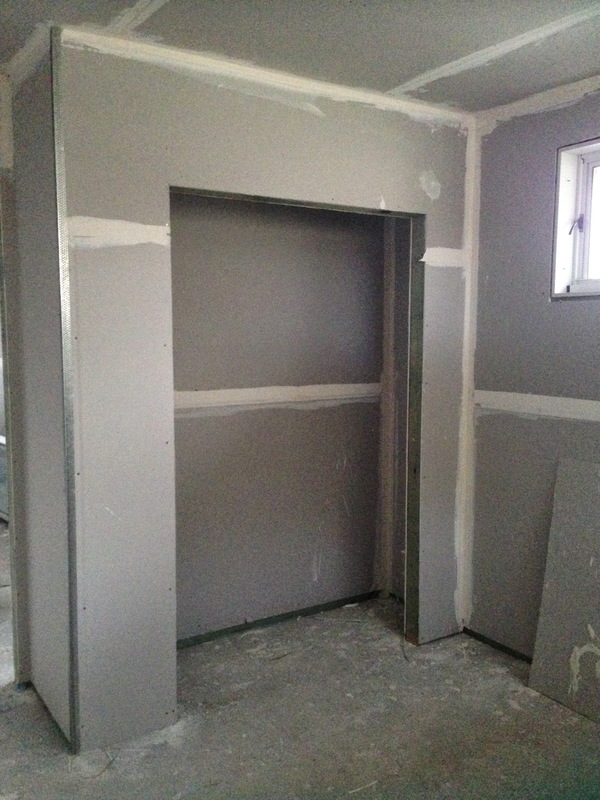 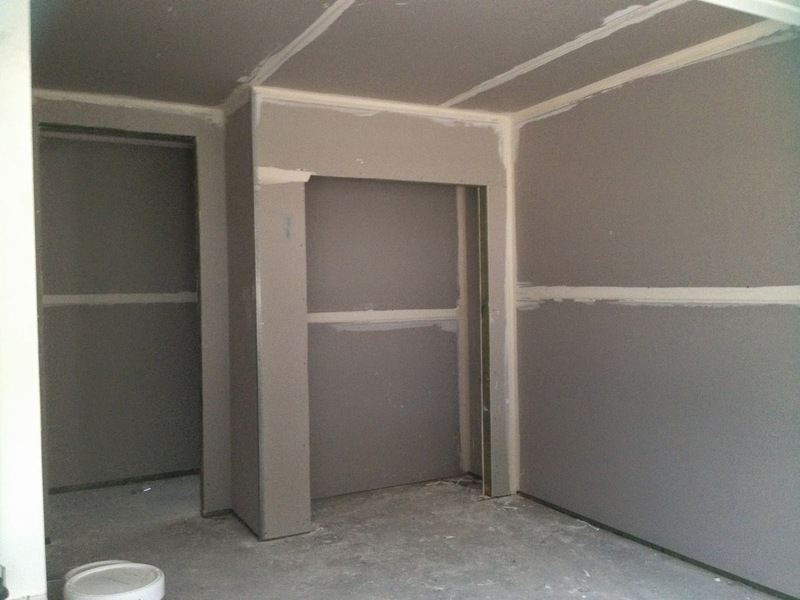 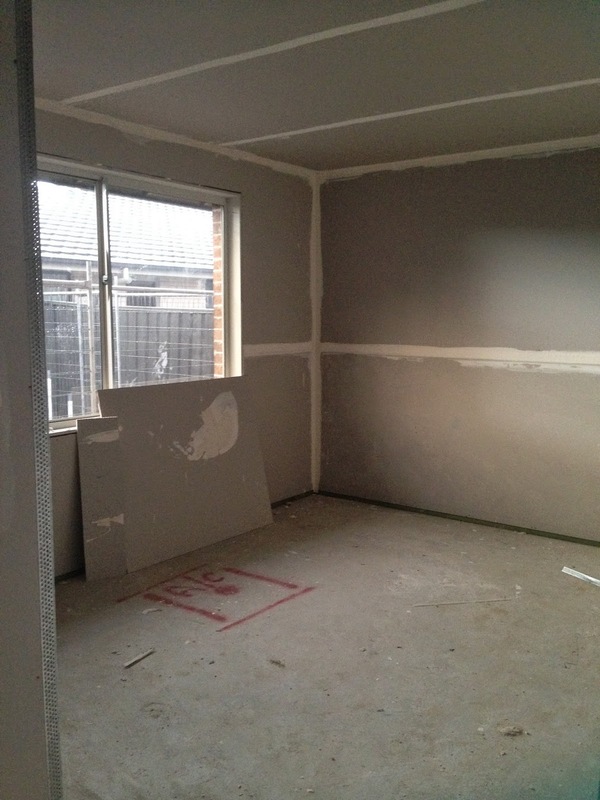 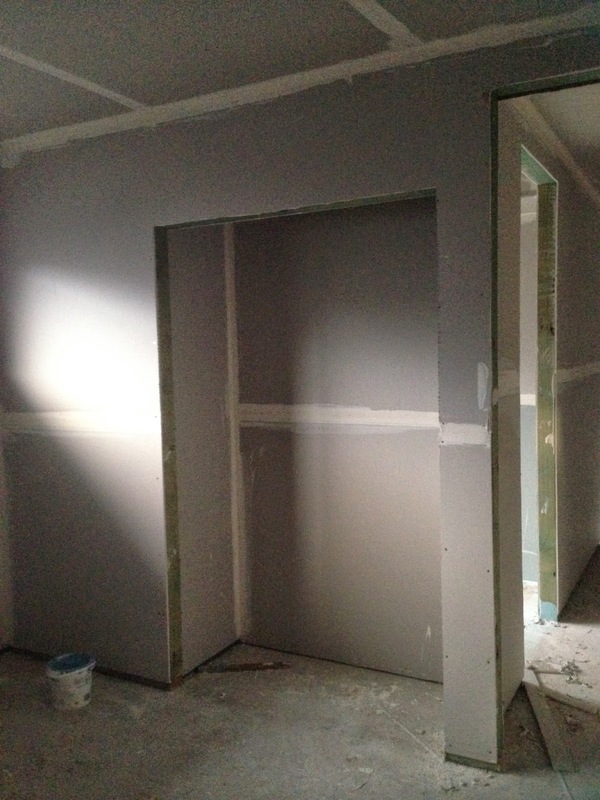 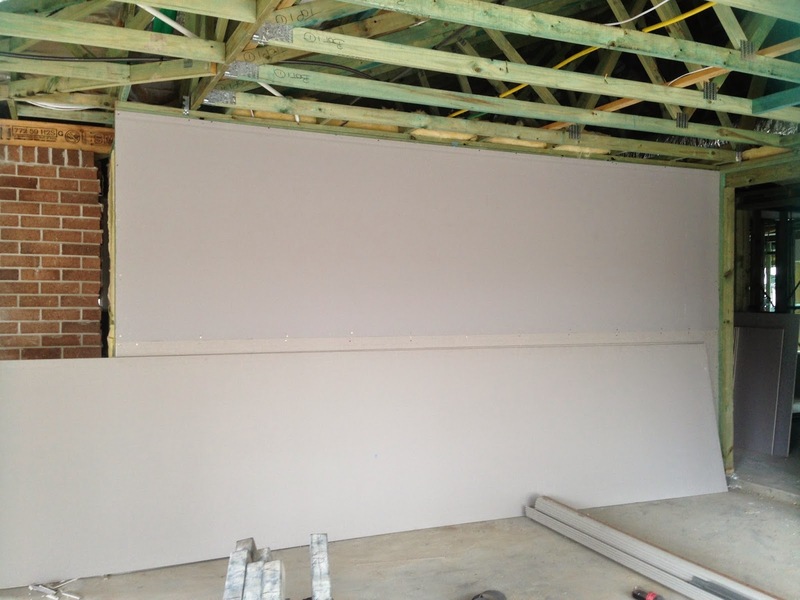 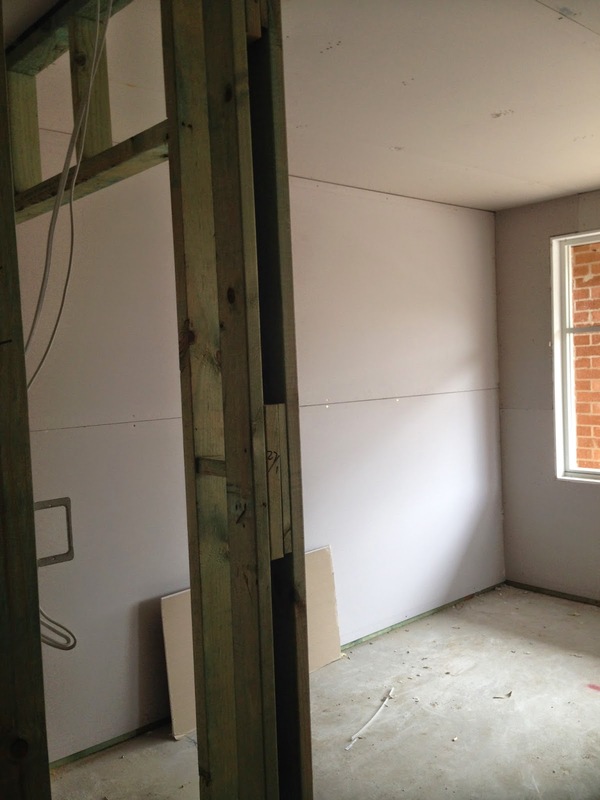 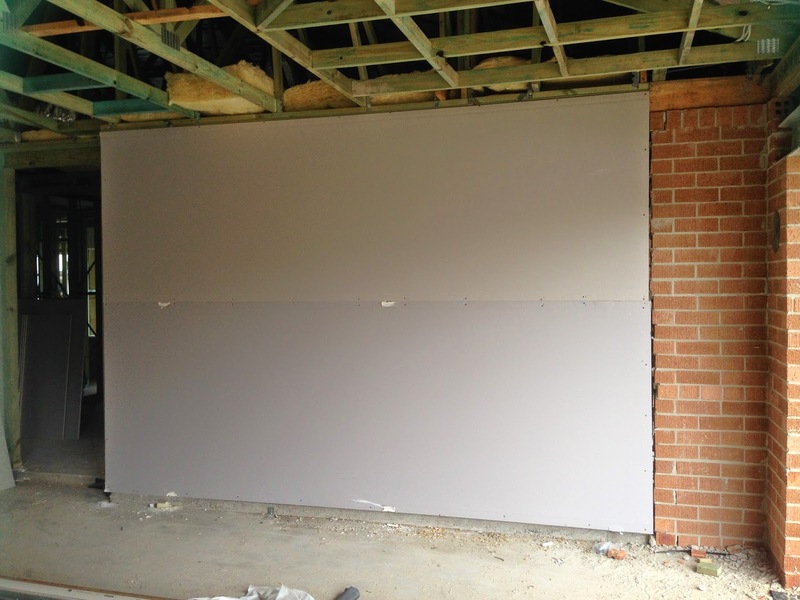 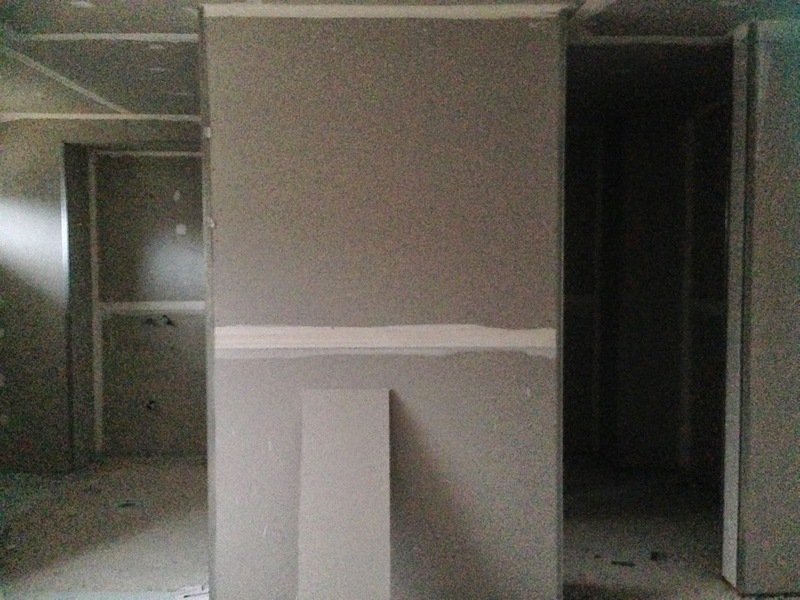 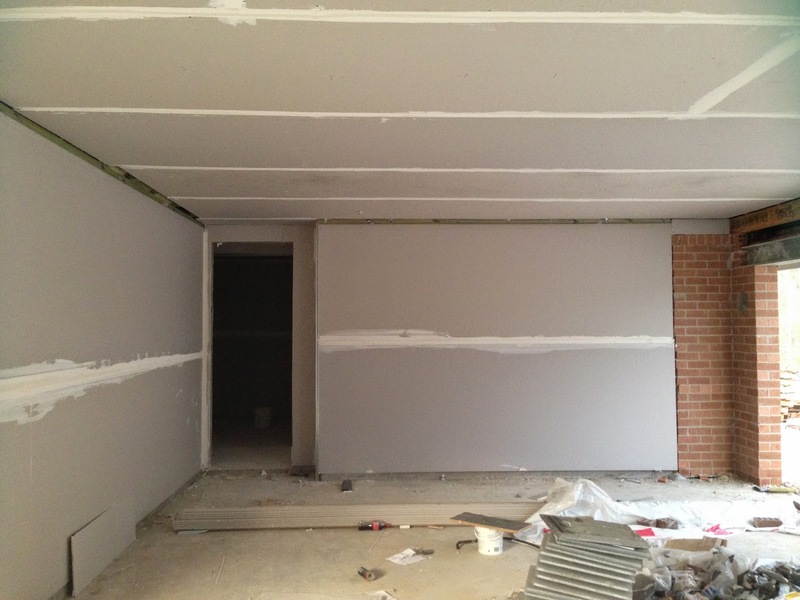 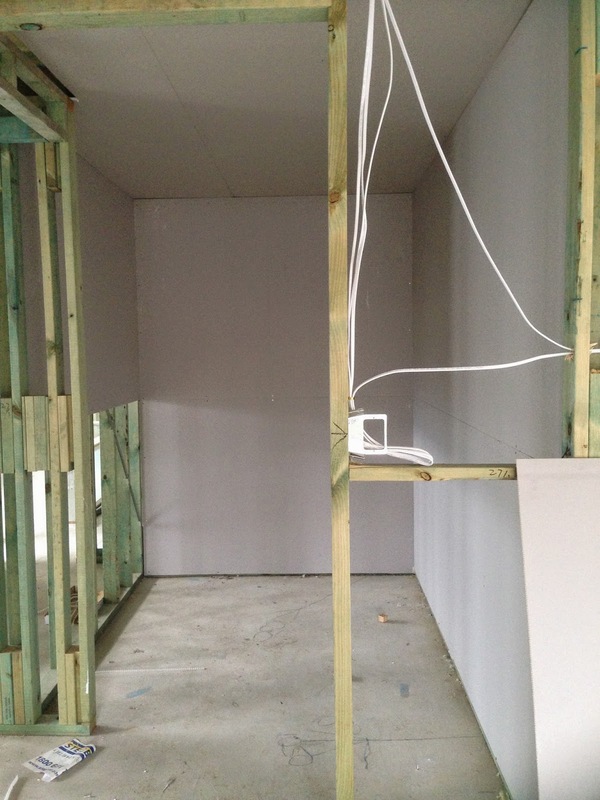 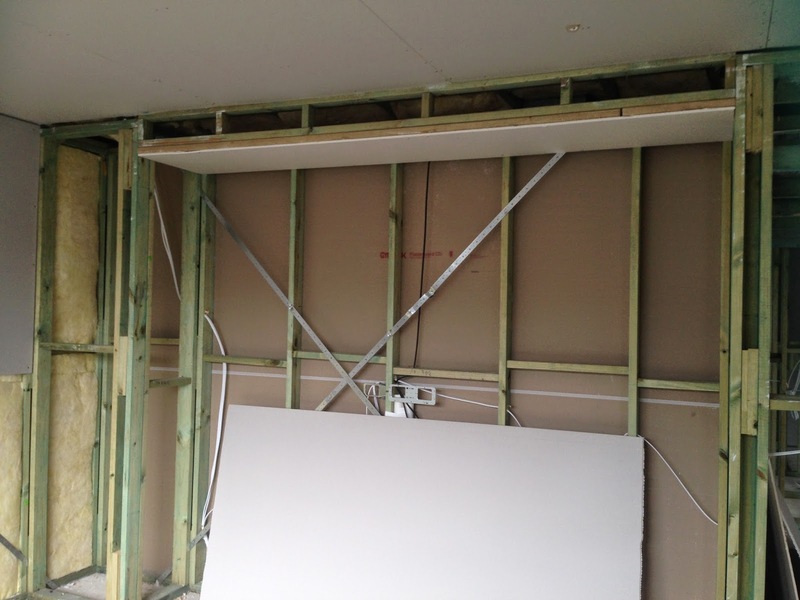 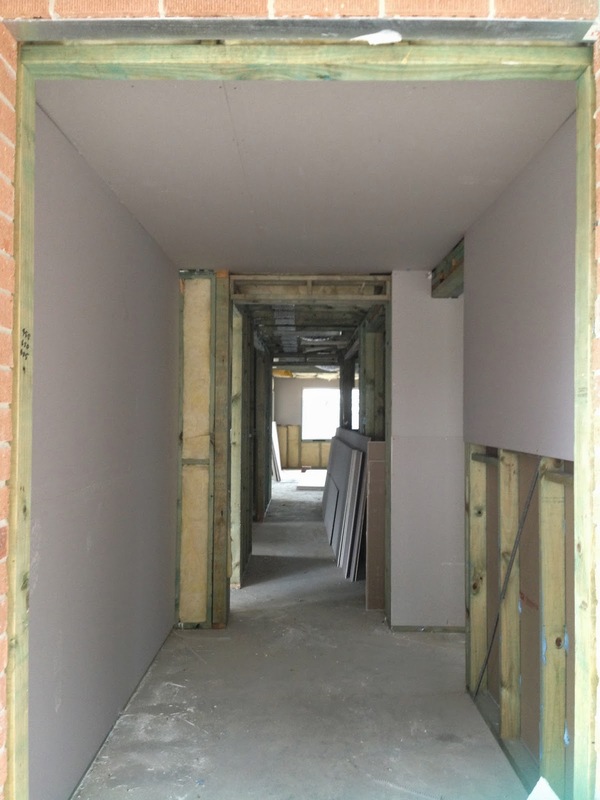 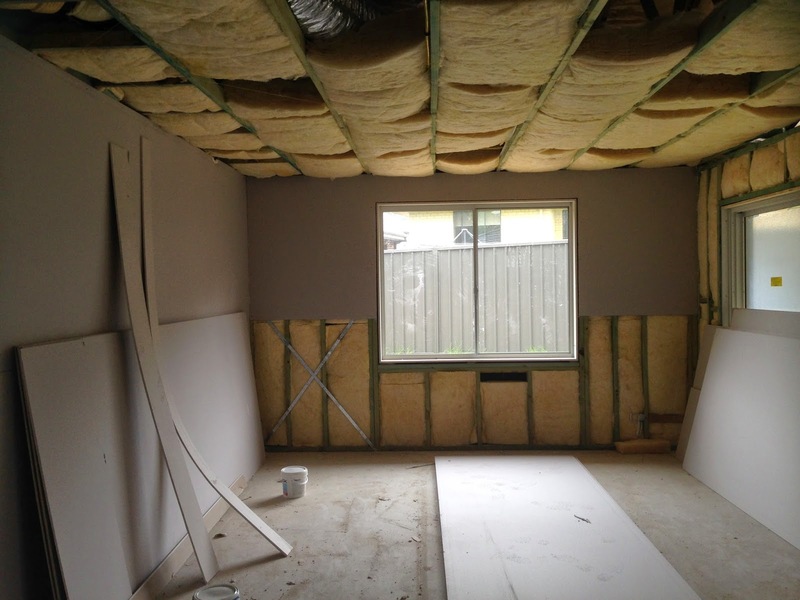 29/4/14 - The gyprock/plasterers have been hard at work at the house for the past 2 days. 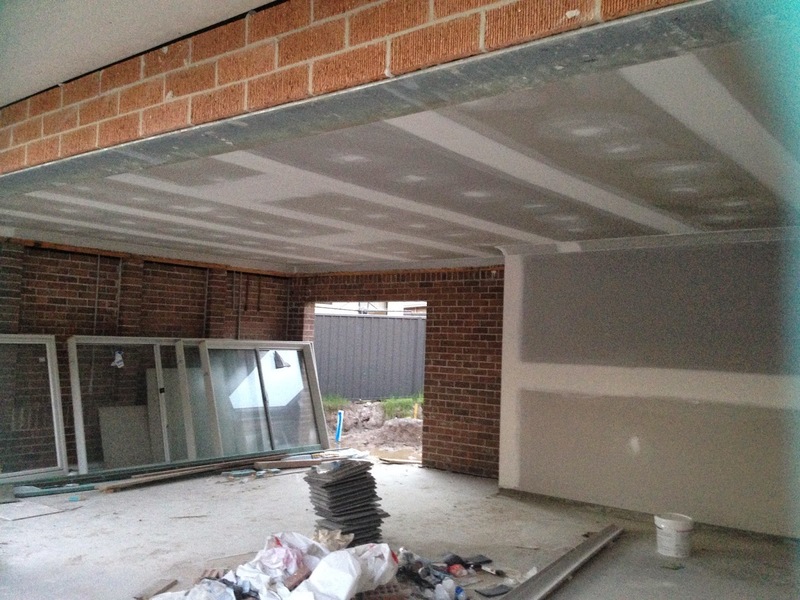 Ive called past each afternoon at 5:30pm to find them still working so havent been able to get inside for a look. 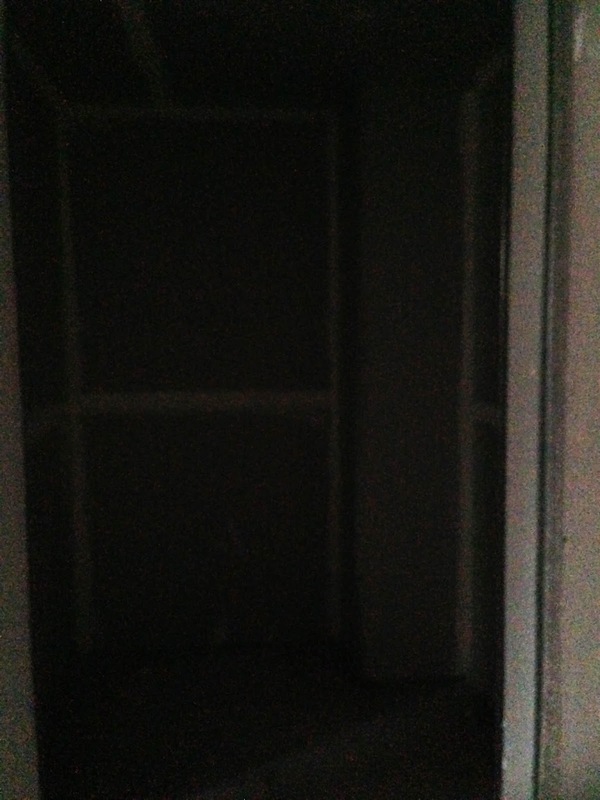 Hopefully will get in tomorrow afternoon. 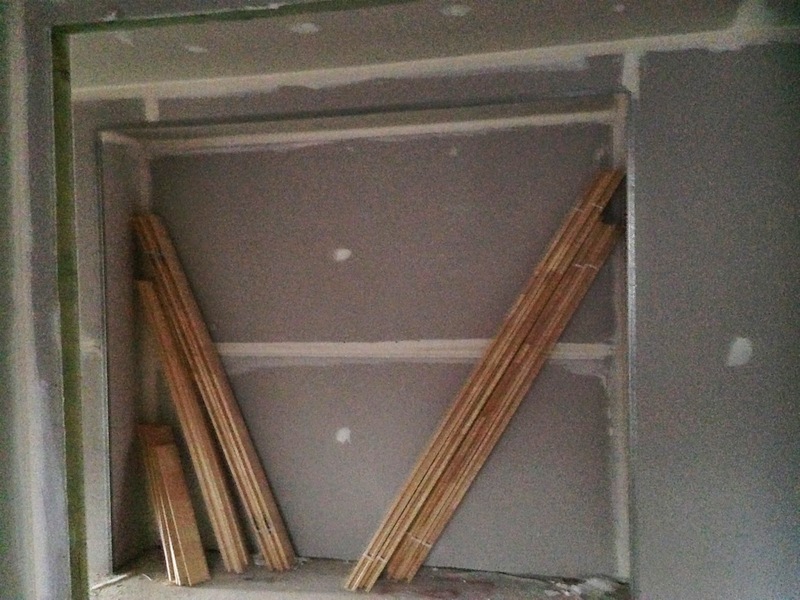 30/4/14 - Finally got in! 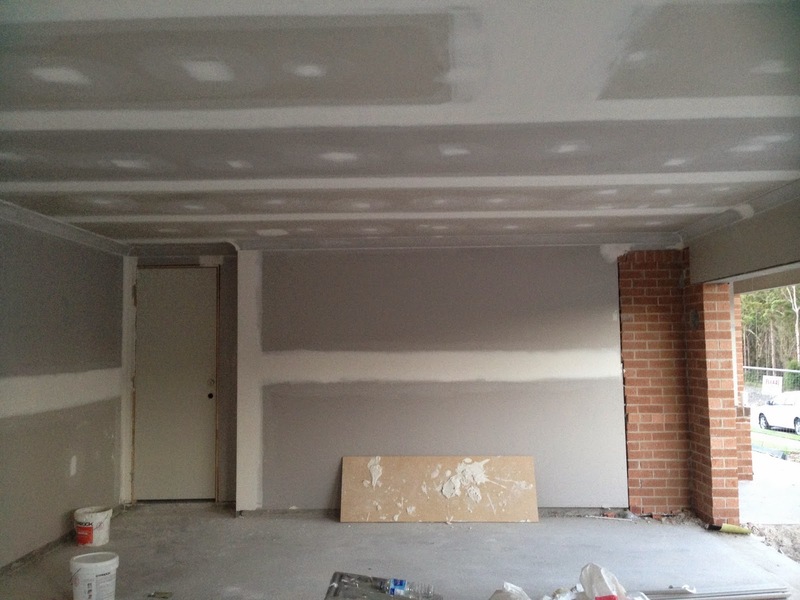 Still a few areas to finish off, and at least another coat of plaster to go before its finished but it looks great. 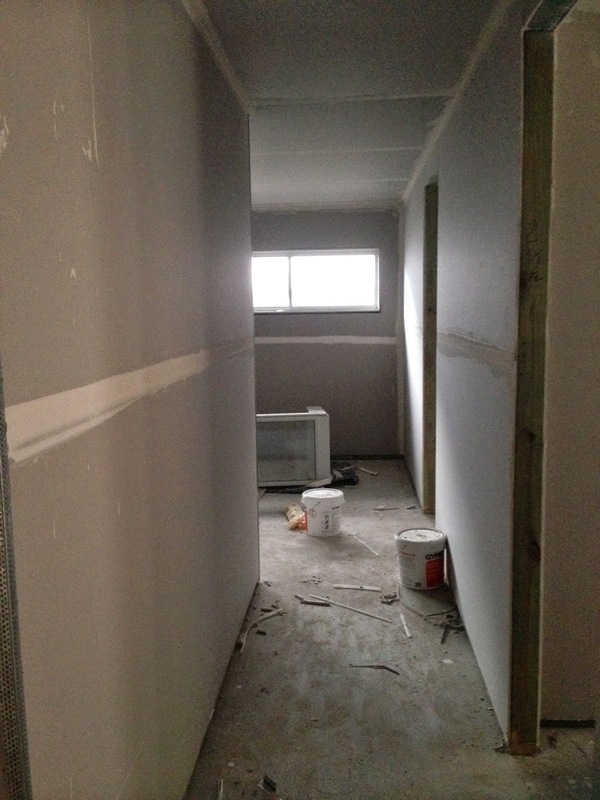 Its so nice walking around and seeing the rooms being transformed. 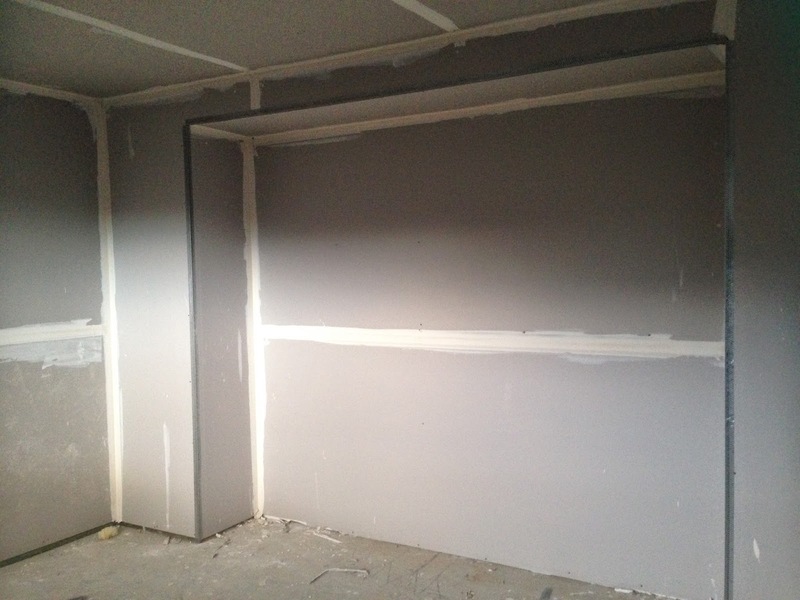 The skirting, arcitraves, door jams, and internal doors have been delivered, as well as some more timber frame work - which I think might be for above the garage door and a void in the powder room. 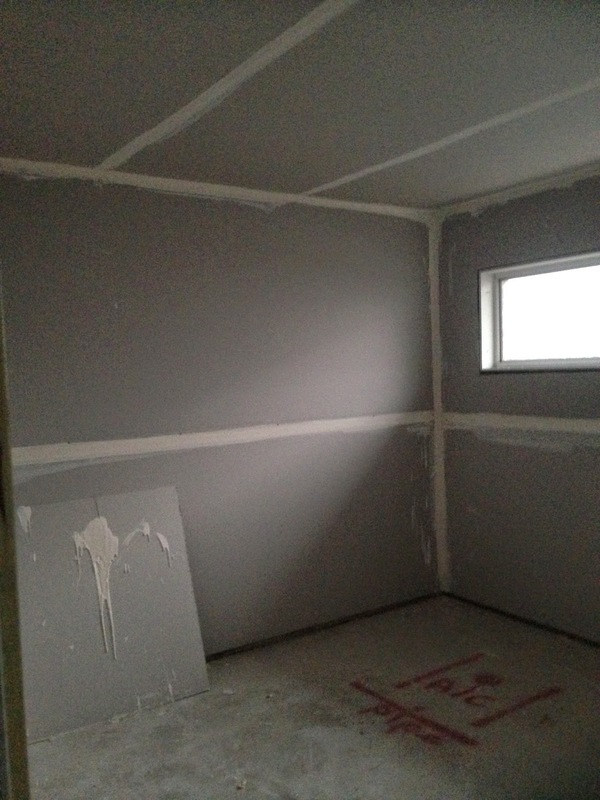 1/5/14 - Plastering continued today. 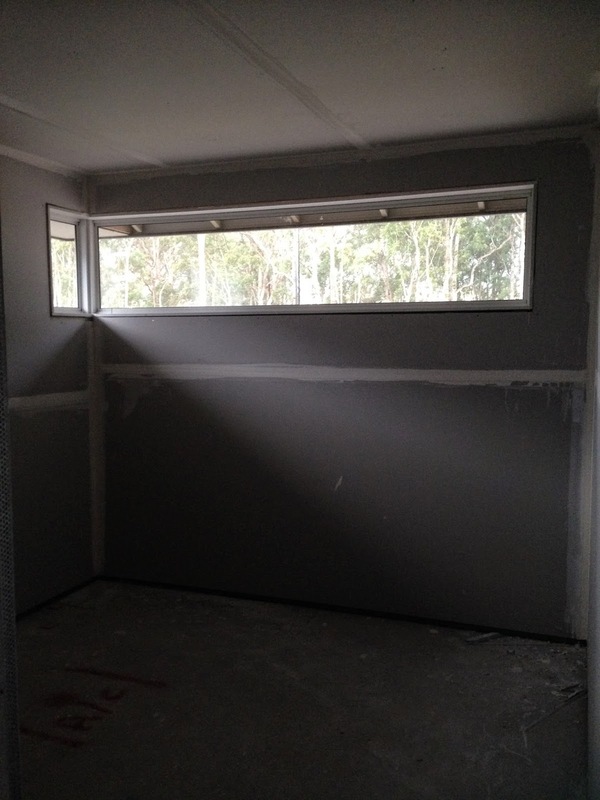 Called past at 6pm to find the tradies only just starting to pack up and washing there tools by mobile phone light!! 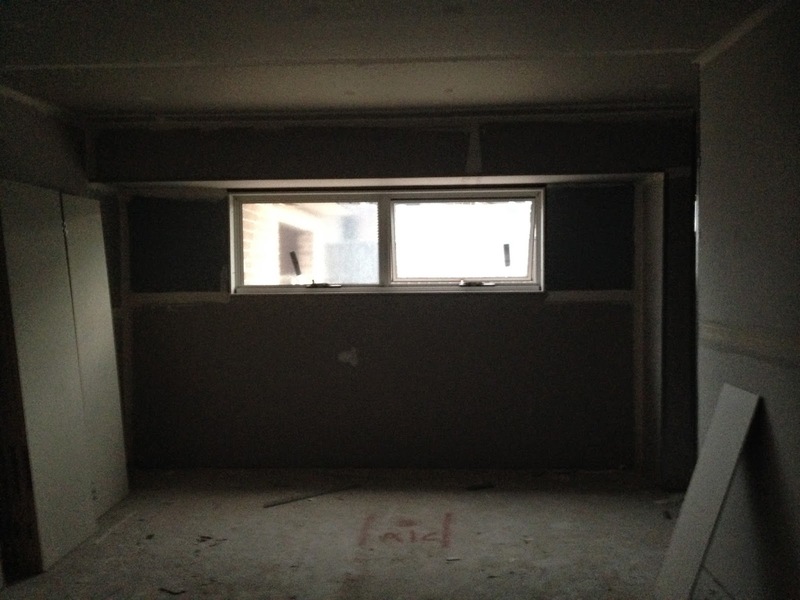 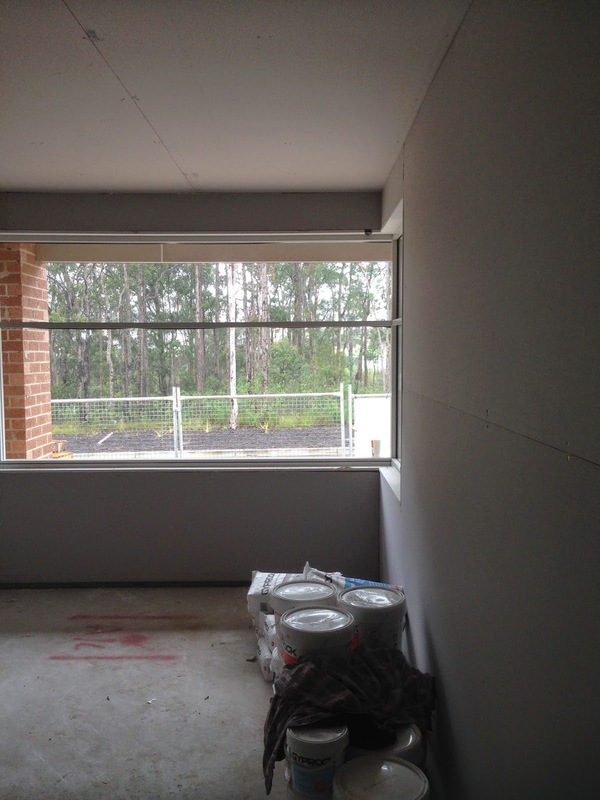 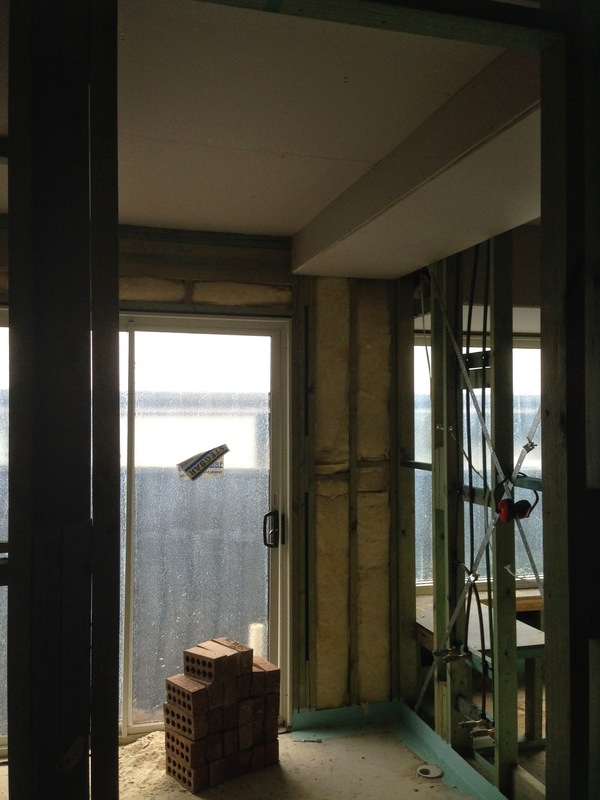 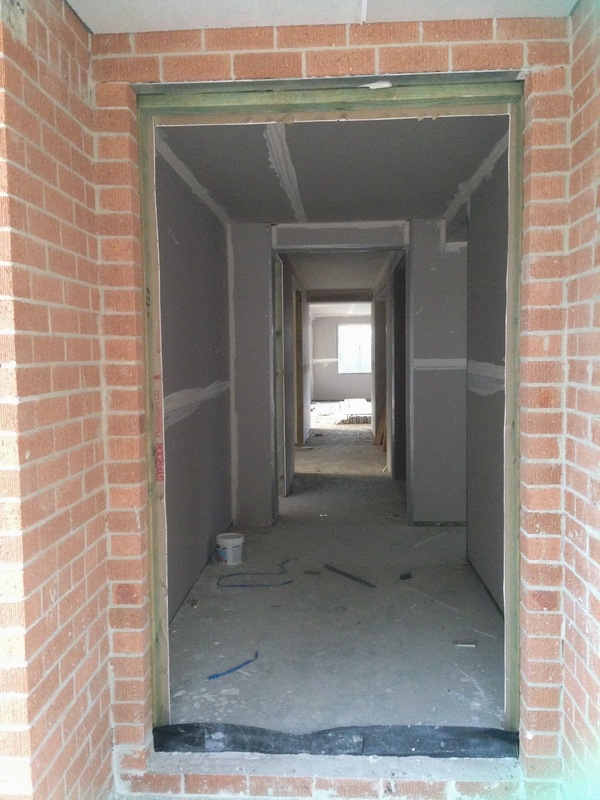 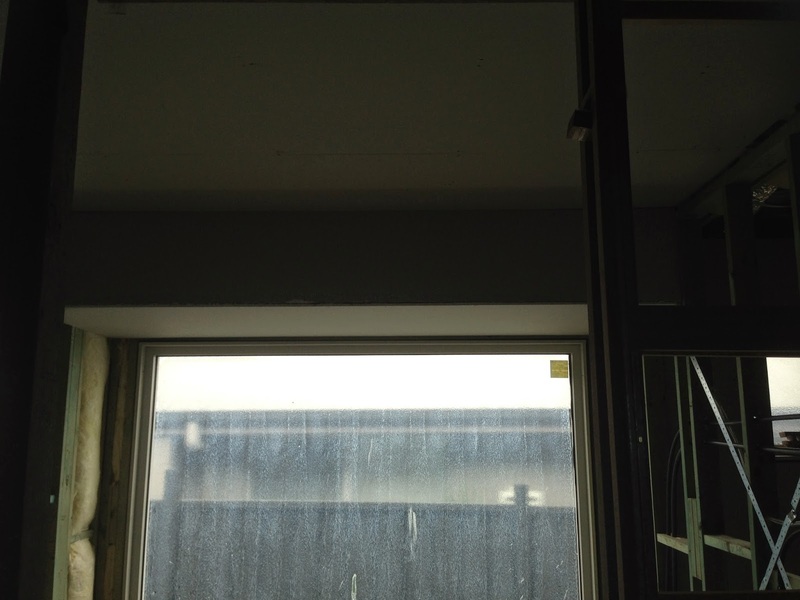 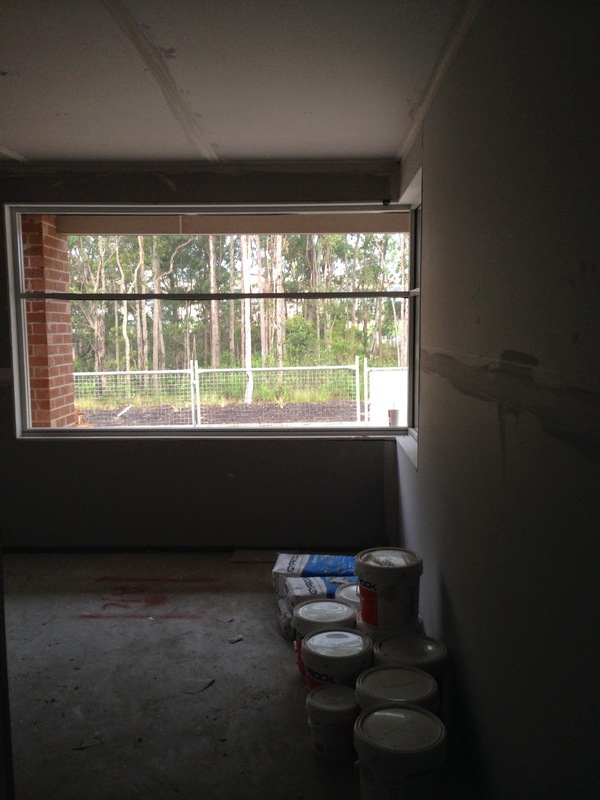 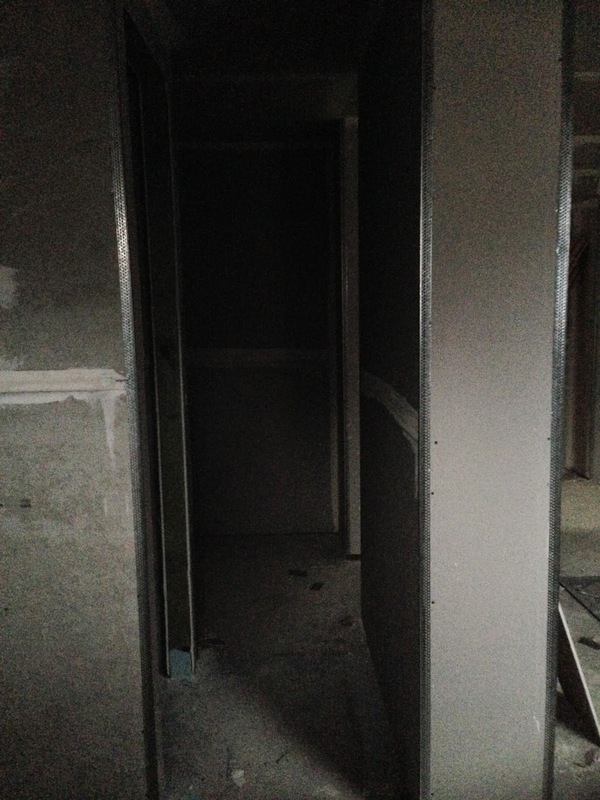 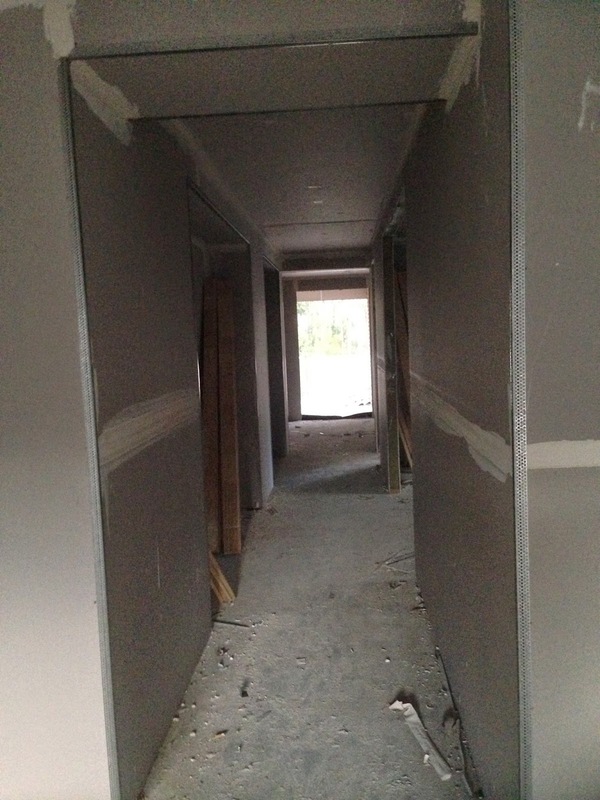 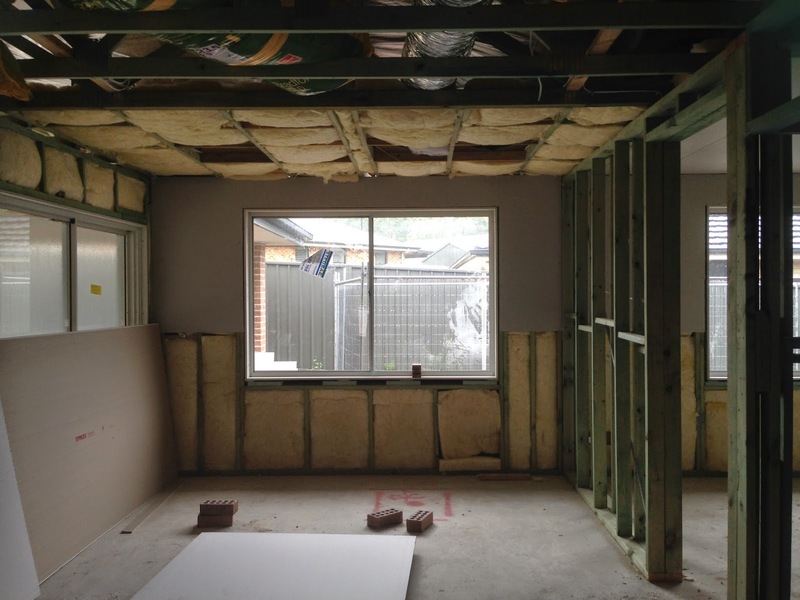 4/5/14 - Have been calling past daily to find tradies hard at work everyday from early morning till after dark, so have been unable to sneak in to see whats been happening. 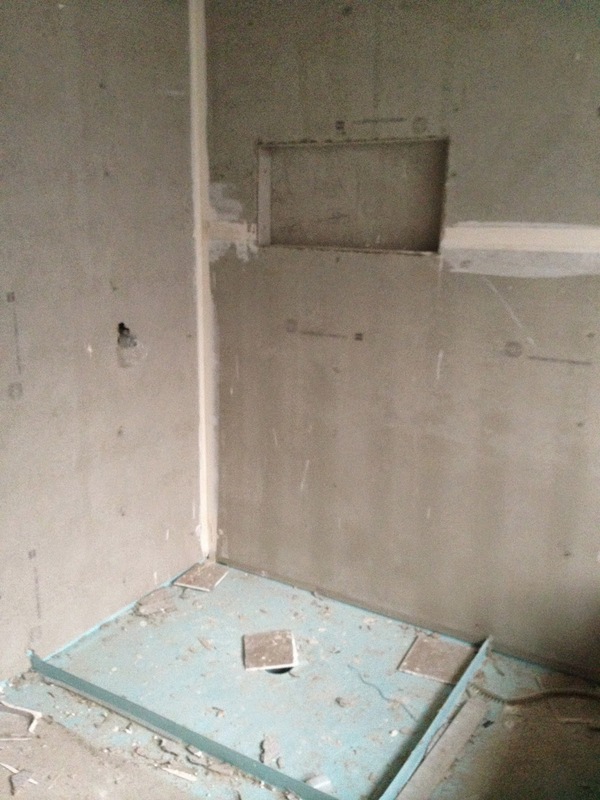 I'm presumming the plasterers finished last night after working all weekend. 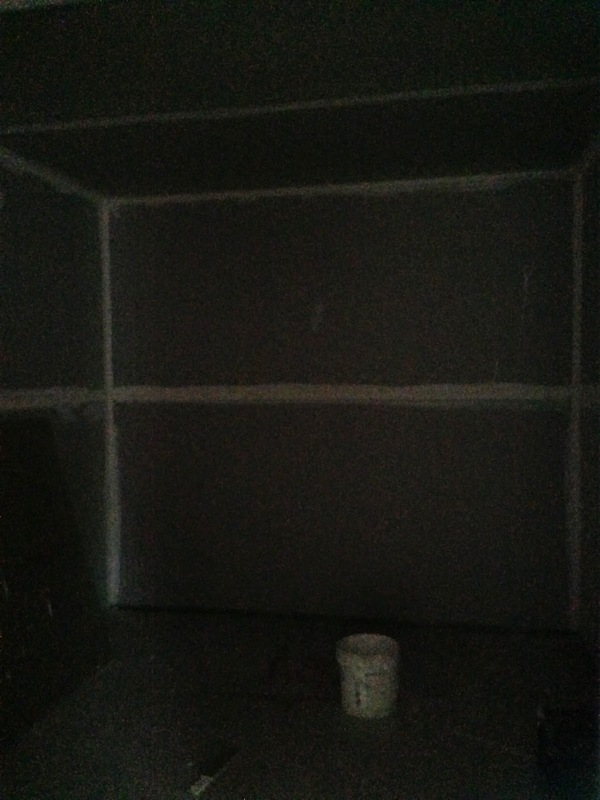 Will try to get in tomorrow. 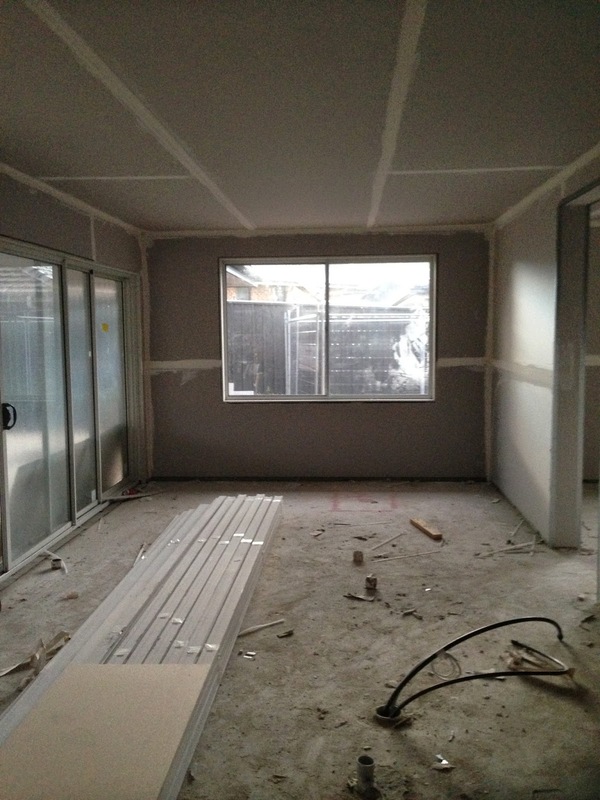 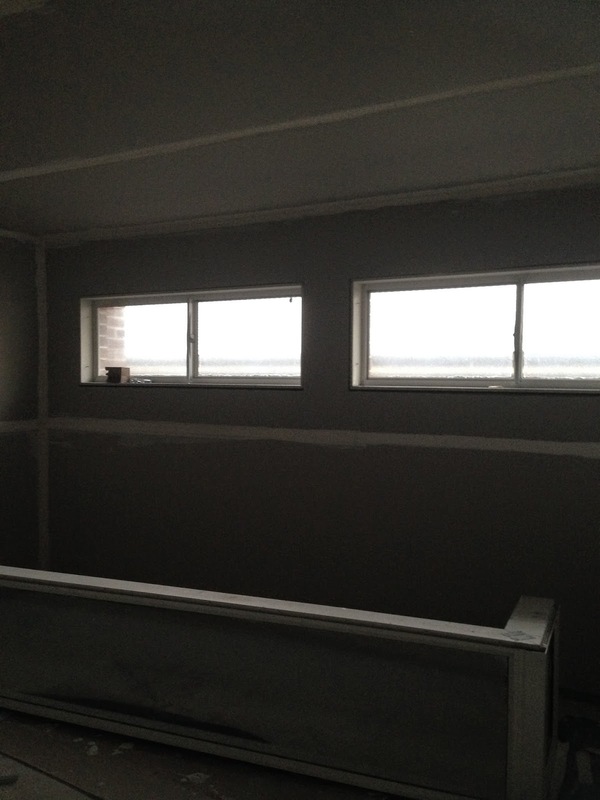 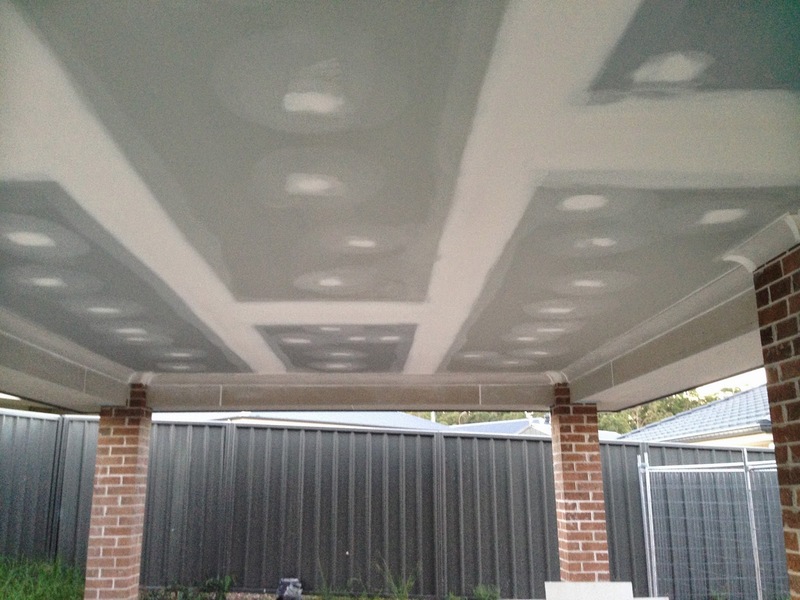 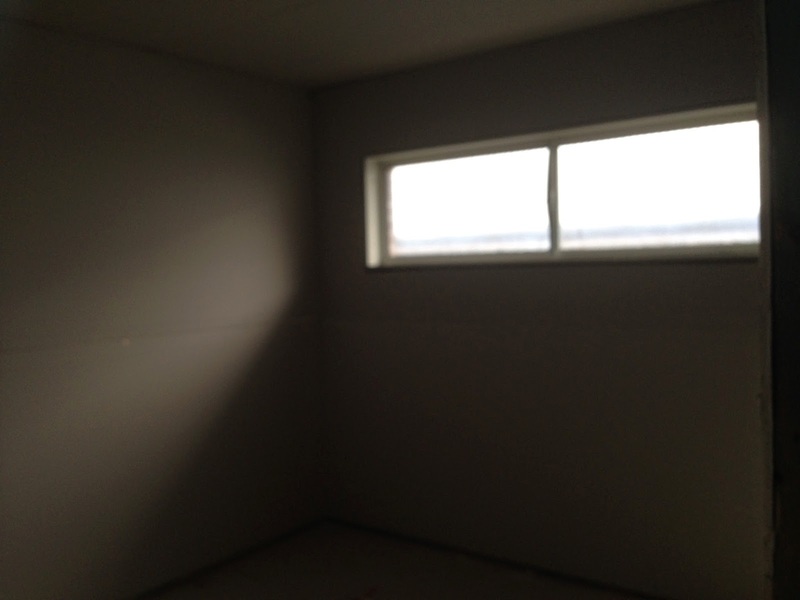 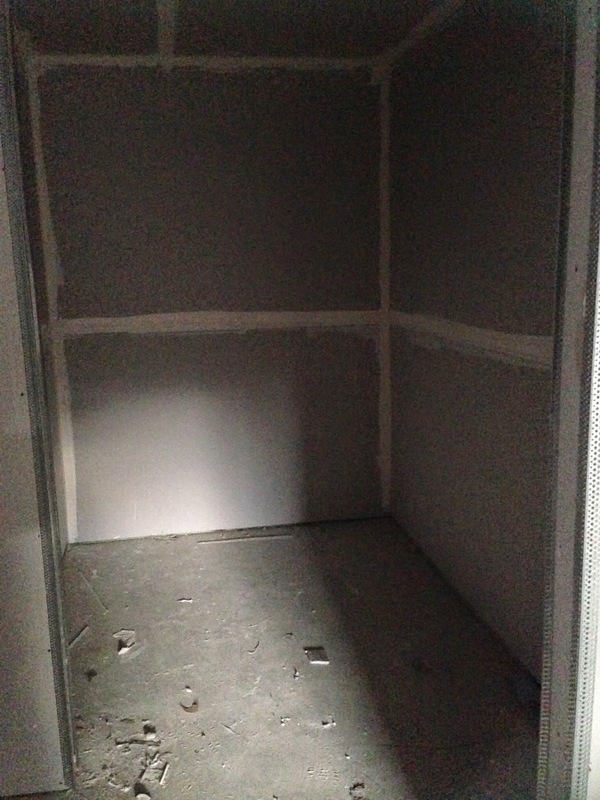 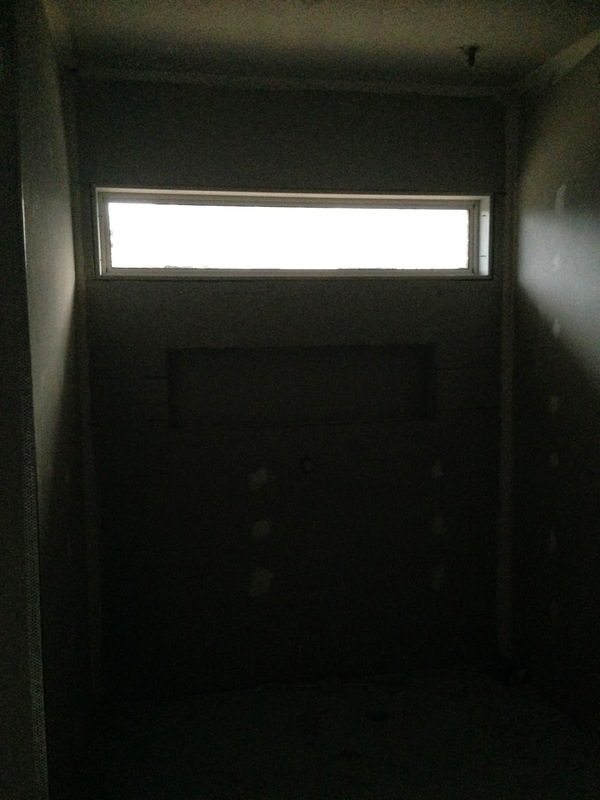 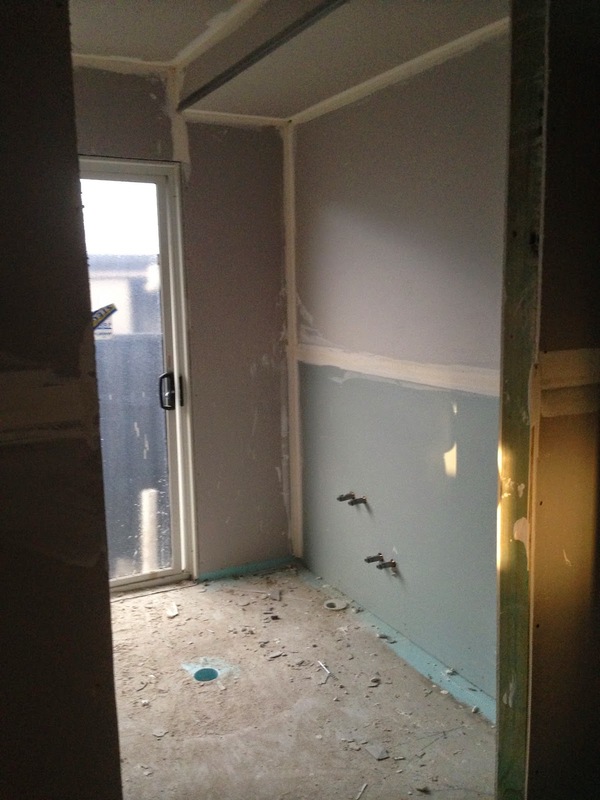 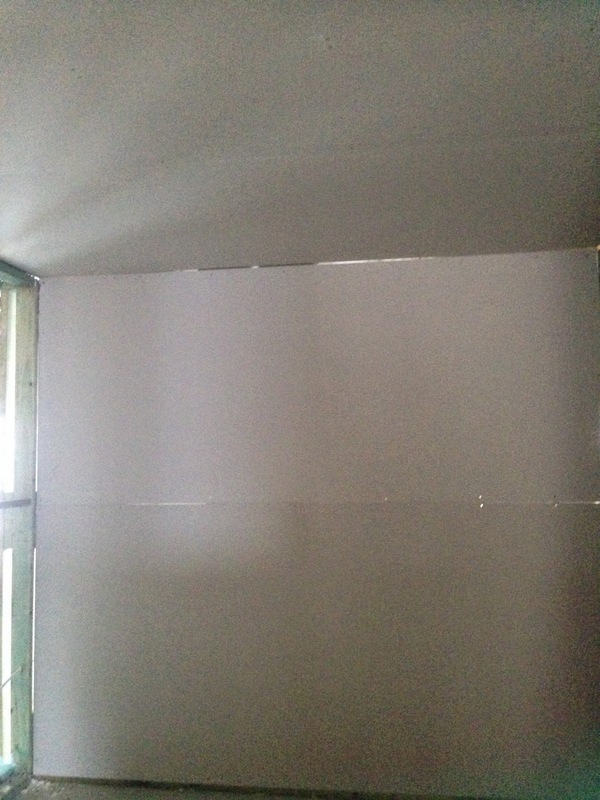 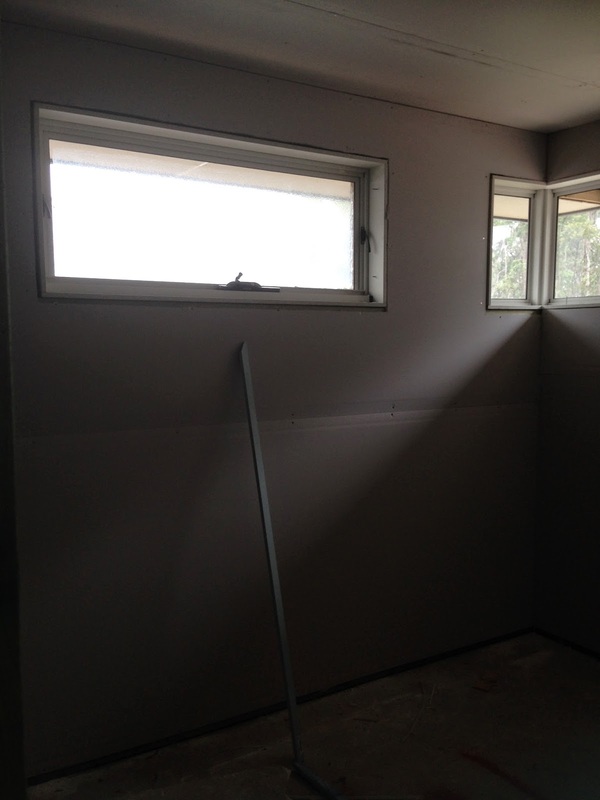 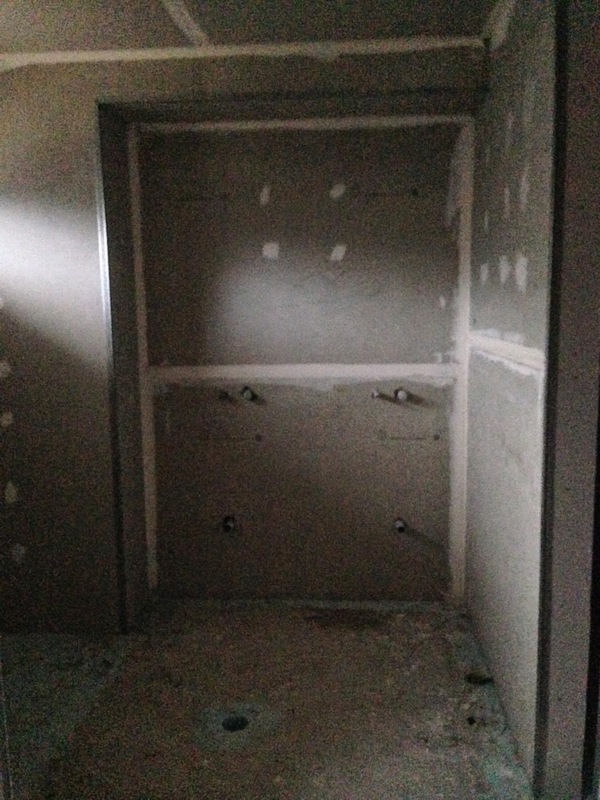 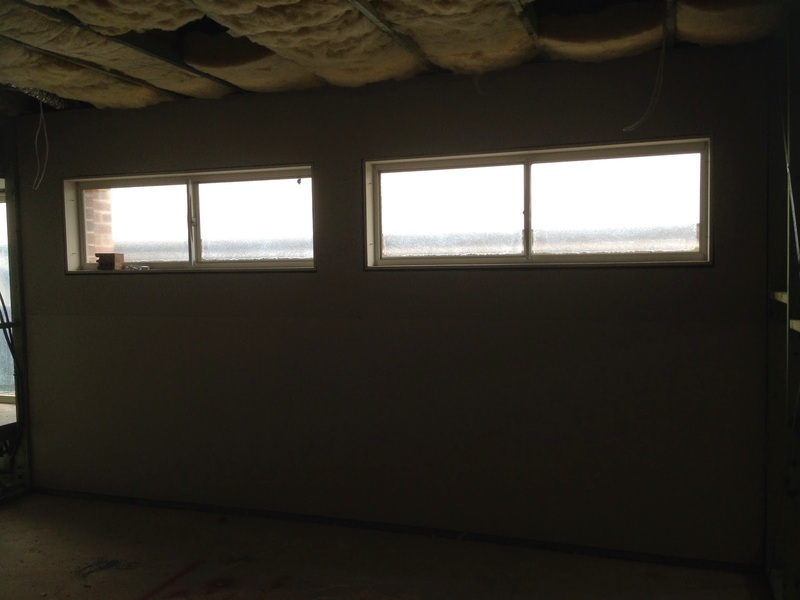 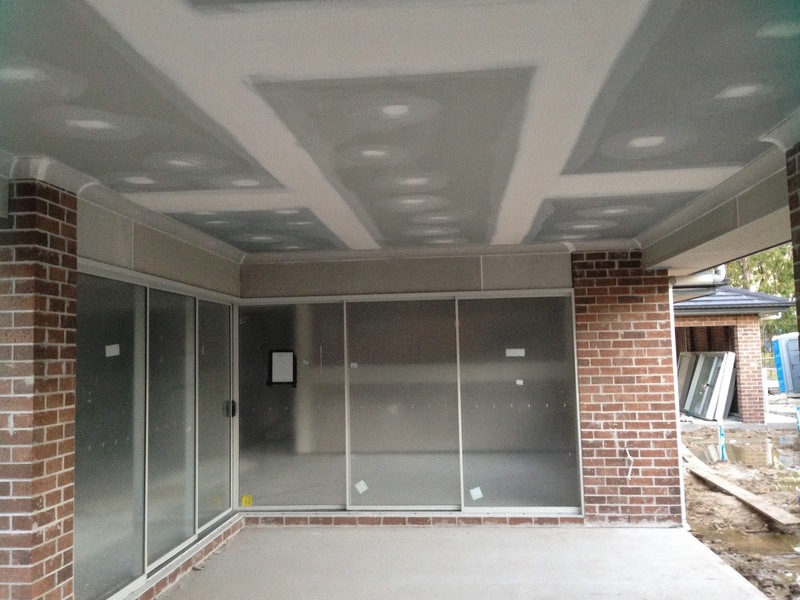 5/5/14 - The plastering is finished, and it looks great. 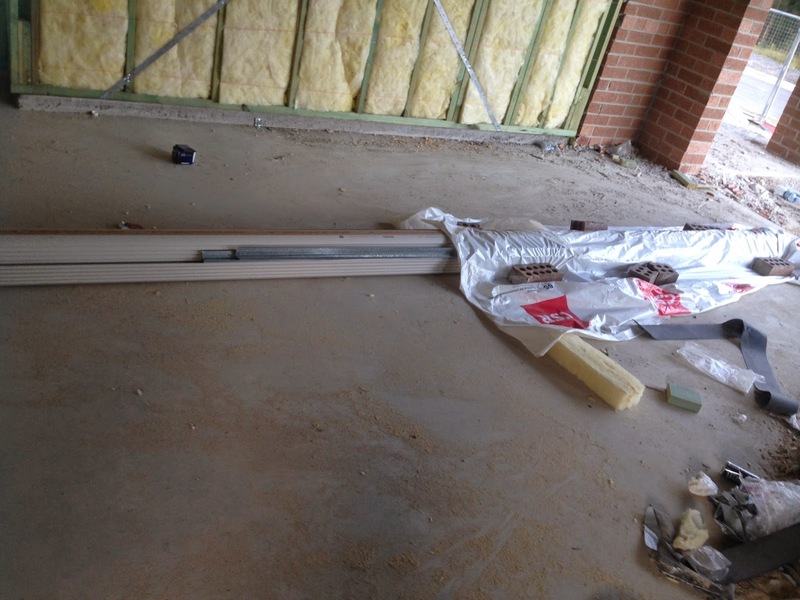 Was only able to get pics of the garage and alfreco as we have been locked out :(. 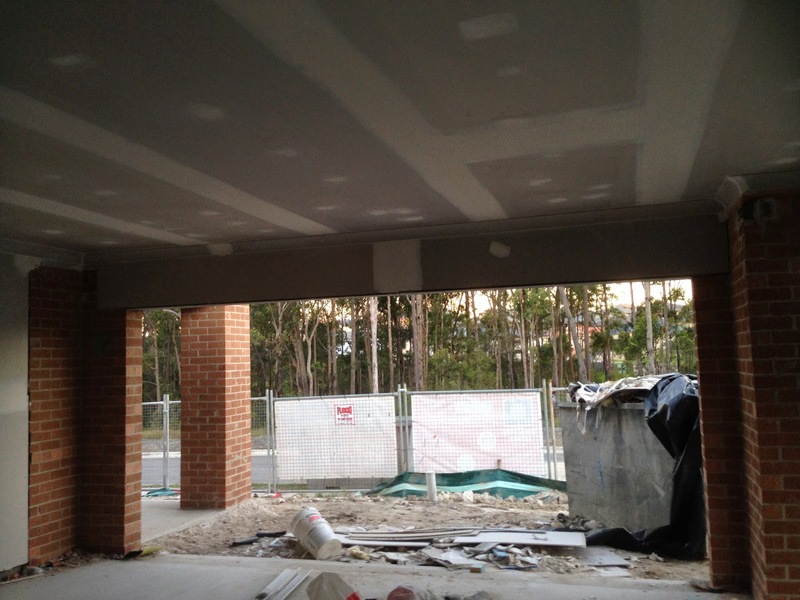 Having a walk thru with the SS on thursday afternoon so will take more then.